You may be dreaming of a family getaway but the holidays or spring break maybe too far off. So what's the best way to take your kids on vacation during the school year without them falling far behind their classmates? Some schools won't give out homework unless your child is going to be out for a minimum number of days, such as 5 days. Review your school's policy so you'll know if you can get your child's school work to take with you so she won't be so far behind when you return. Then consider if taking an additional day would be worth it just to get the schoolwork. In other words, if your school requires your child to be absent 5 days and you were only planning on being out 4, it may be worth it to take that extra day so you're not coming home late at night to get your child to school early the next morning. Plus, you'll now be able to get the lessons from school so you can take it with you on vacation without your child being a week behind. If you're unable to get the class work your child will be missing ahead of time, talk to your child's teacher. She may be able to give you a better idea of what you can do during the days you're gone so your child doesn't fall behind. While she may not be able to release the school work, she can probably look at her lesson plans and let you know what your child will be missing. For example, the week you're gone, your child may be learning about nouns verbs and adjectives. The vacation may just be the perfect place to teach your kids about nouns verbs and adjectives while on the road. Whether you're able to get the school work in advance or not, make a plan of how you'll get in that school work or your own lessons before you take off. Look at the work the school has given you or write down your own lesson plan for the week. Make a schedule to divvy up the school work throughout the week so your child isn't having to cram in all of the work the night before she goes back to school. When will your kids be the most receptive about sitting down for worksheets? You may be itching to get out of the hotel room by 8 a.m., but are the kids going to be too tired by the time you get back. Pick a good time when your kids are refreshed and the school work will go much more quickly and easily. At that time can change daily when you're on vacation so some days you may have to play it by ear. We all know that sometimes plans look great on paper but they aren't practical when you're trying to put them in use. This can easily happen on vacation. You may have decided your kids would spend an hour on their class work at the end of the day when you're back at the hotel. But after a day of sightseeing and having fun, your kids may simply be wiped out and ready for bed. Instead of forcing the kids to do that school work, it may be best to call it a day and make it up tomorrow. Remember, you're on vacation! Your family is supposed to be having fun. Think about how important getting all of that school work done really is. Your kindergartener missing a week of school is not as big of a deal as your high schooler. Even if you only get a little bit of work done during the week, that's still beneficial. But if you don't get any work done during a short break, really, it's not the end of the world. 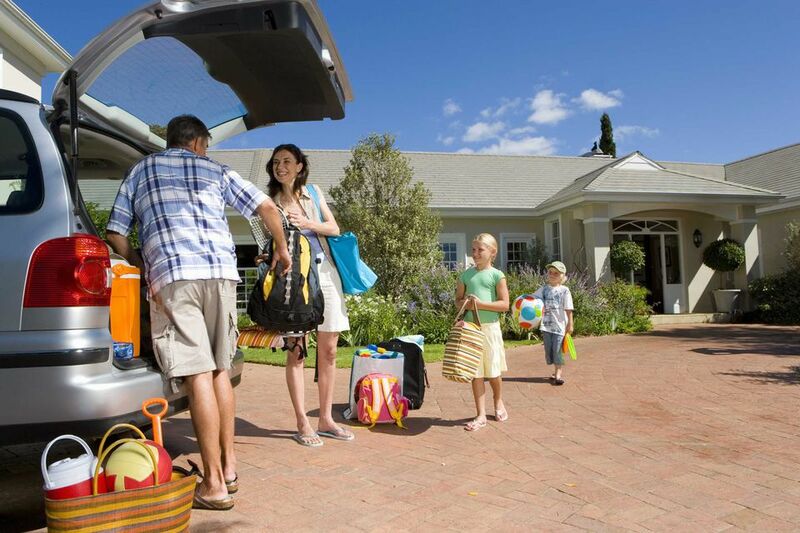 Is It Okay to Pull Your Kids Out of School for a Family Vacation?